Today is Hot Enough For Ya Day. During some of the hottest days of year, this little quip is often said when there's nothing else to say: "Hot Enough for Ya Yet?". And with the mercury staying high this week, we'd better find a way to stay cool. Got any ways to do that? I could think of a few... 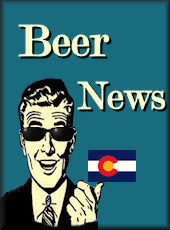 Here's what's happening around the Colorado beerosphere today Monday, July 23rd, 2012. KB Kraft Beer (Colorado Springs) - Stop in the brewery tomorrow as they will be releasing a new German-style honey ale called "Alter-Bee-Go". It's made with raw, unfiltered Colorado wildflower honey. The Mayor of Old Town (Fort Collins) - The Mayor will be closed today, Monday the 23rd. But fear not! They will be back open on Tuesday at 4:00pm in preparation for the Firestone Walker Brewing Co's David Walker visit and special tapping. What would you do for a Firestone Walker 15 Anniversary on draft? Would you find a way to the Mayor of Old Town (632 S Mason St, Fort Collins) despite the street being closed? Here is your chance to prove it! Join Firestone Walker owner David Walker as he helps the celebrate The Mayor of Old Town's 1st Anniversary. Tuesday, July 24th at 7 pm David will tap a very limited keg of 15th Anniversary as well as a number of other Firestone Walker beers. Wynkoop Brewing Company (Denver) - Wynkoop Brewing will be at the DaVinci Institute in Louisville, CO tonight: Wynkoop's Marty Jones will be speaking tonight at 7 PM on "The Future of Beer" at Louisville's famed think tank, along with Mountain Sun's mighty Paul Nashak. Beer and deep thoughts will flow. For more info on this talk, visit the DaVinci Labs website. Crabtree Brewing Company (Greeley) - At last, they can officially announce their GRAND OPENING date for the new tasting room location (2961 29th Street, Greeley, CO) - it will be Wednesday, August 8th @ 4:00pm. It's a week later than they were anticipating, but it gives them a few extra days to make sure that everything is ready. The last day to stop by the "old" place on 3rd Street will be Friday, August 3rd. The tasting room will be closed between the 4th and the 7th. Kannah Creek Brewing (Grand Junction) - It's Firkin Monday! Join them today at 5pm for a special brew ala firkin. It won't last the night so stop by early to try some. 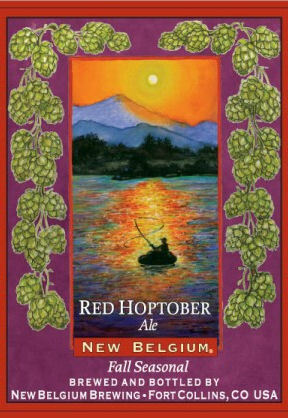 New Belgium (Fort Collins) - It may be in the thick of the Summer heat, but New Belgium is reportedly already releasing their new Red Hoptober Ale - their Fall Seasonal. This brew is replacing the old Hoptober this year and will be available now through the end of October. The beer is loaded with Centennial, Cascade and Eldorado Red hops and touted as "the perfect sipper for these last, fevered days of summer and the cooling, coming autumn nights". Look for it on shelves this week. Read the full press release. High Hops Brewery (Windsor) - According to the Coloradoan article, the new upcoming 10-barrel brewhouse in Windsor won't be opening in August as planned due to permit issues, so they are looking for a September or October opening now. The brewery plans on debuting with at least 6 beers and will use some of their own hops and berries in their brews that they grow on-site. "All types of beer for all types of people". Paradox Beer Company (Woodland Park) - This up and coming new brewery will soon see some of its beers debut at the Craft Lager & Small Batch Festival on August 4th. Their beers will soon be distributed to the Springs and Denver areas soon after that. No tap room will be initially available, but they plan to have a retail shop in Woodland Park for pick-ups and sampling. See the full story on FocusOnTheBeer blog. Equinox Brewing (Fort Collins) - The owners sent out word on social media today that they will be closed on Wednesday, July 25th in order to attend a brewery tour in Denver. Hops & Berries, their adjoining homebrew shop, will also be closed for the day on the 25th. Make plans to stop in ahead of time for your brews and supplies. 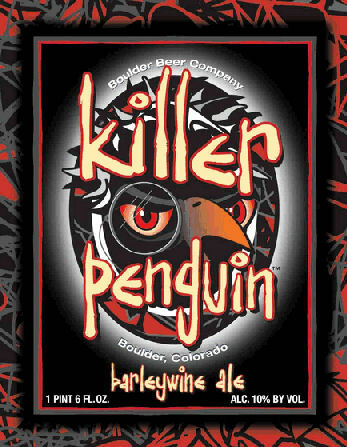 Boulder Beer Company (Boulder) - When the next batch of their Killer Penguin Barleywine is released later this year, the label will have a slightly different look to it. Check out the recently TTB approved label for their new bomber bottle. 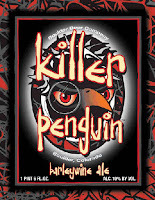 Copper Kettle Brewing (Denver) - A reminder that PUB TRIVIA is tonight with a Harry Potter theme. Two sessions - 6:30pm and 7:30pm. The Harvest Food Truck will be outside at 5 PM. WIN FREE BEER! Falling Rock Tap House (Denver) - Join in Wednesday, July 25th at 5:30 pm to celebrate the kick-off of Boulevard Brewing (Kansas City, MO)’s Double Wide Double IPA on tap. Guests from the brewery will be on-hand to chat, answer questions and enjoy this somewhat maltier, big-bodied IPA. Then, come celebrate One Year Of Firestone Walker Beers in Colorado with the Falling Rock and Firestone Walker’s David Walker, Elizabeth Kagan and many others at 6pm on Thursday, July 26th! They will be tapping and comparing “brothers of the barrel” DBA, DoubleDBA & UnfilteredDBA on cask. Who knows what else Chris might have hiding. Yak & Yeti (Arvada) - This new beer is not for hop-heads but rather for ginger-heads. Today at 4pm, Yak & Yeti will be releasing a Ginger Witbier. It's got 15 IBUs and has a nice ginger bite to it. It's not like your typical orange peel and coriander wit. Stop in and try some. Odell Brewing (Fort Collins) - A reminder, today (July 23rd) at 3:30pm, the Odell Brewing tap room will close early for their quarterly co-worker meeting. Get there early to get your growlers filled. Phantom Canyon Brewing (Colorado Springs) - New on tap: 1942 Burton Ale - Revival Series #16. Originally brewed by Barclay Perkins Brewery, Southwarke, London as the tide was beginning to turn for allied forces in World War Two. Burton Ale is a practically extinct style named after the city that produced it. For centuries, Burton upon Trent has been associated with the brewing industry due to the quality of the local water. Burton Ale is a pale and well-hopped style of beer was developed in Burton in parallel with the development of India Pale Ale elsewhere. Stop in and enjoy a taste of history!